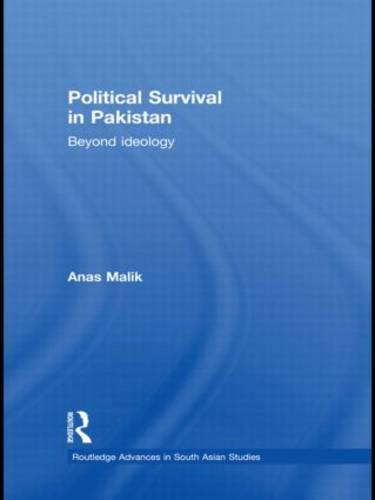 Presenting a framework that incorporates macro-level forces into micro-level strategic calculations, this book explains key political choices by leaders and challengers in Pakistan through the political survival mechanism. It offers an explanation for continuing polity weakness in the country, and describes how political survival shapes the choices made by the leaders and challengers. Using a unique analysis that synthesizes theories of weak states, quasi-states and political survival, the book extends beyond rationalist accounts and the application of choice-theoretical approaches to developing countries. It challenges the focus on ideology and suggests that diverse, religiously and ethnically-defined affinity groups have interests that are represented in particular ways in weak state circumstances. Extensive interviews with decision-makers and polity-participants, combined with narrative accounts, allow the author to examine decision-making by leaders in a state bureaucratic machinery context as well as the complex mechanisms by which dissident affinity groups may support `quasi-state' options. This study can be used for comparisons in Islamic contexts, and presents an interesting contribution to studies on South Asia as well as Political Development.